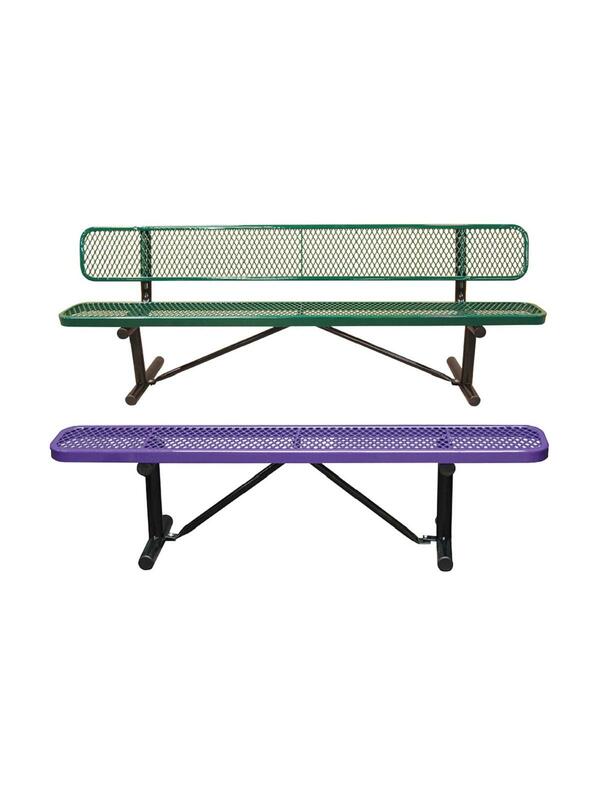 Benches available with and without backs. 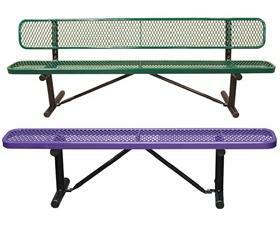 Our benches have 9 gauge expanded metal seats and backs with black powder coated galvanized steel 2-3/8" tubular legs. Available in 16 colors of thermoplastic finish - please specify color in comments when orderings. FOB Shipping Point.